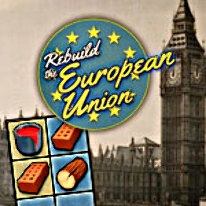 Help rebuild the European Union in this exciting and informative Match3 game! Help the European Union to rebuild its famous and beautiful buildings! Gather resources, solve puzzles and learn the history of famous buildings in this fun Match 3 game. Europe desperately needs a savior to help rebuild it's historic structures and restore the EU to its former glory!